Early last month we had a tragedy here on the farm. One that I am still finding difficult to write about, but I wanted to share all of the adventures here....good and bad. 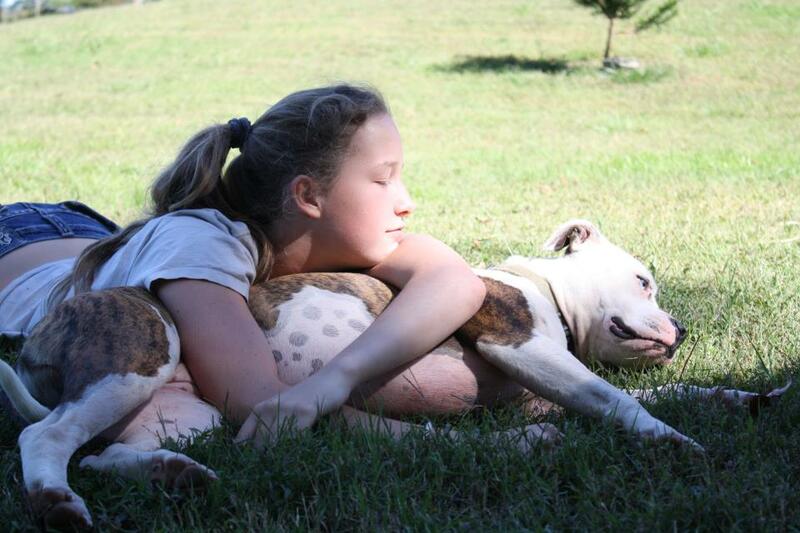 Journee has always been a lover of animals and large dogs are her favorite. 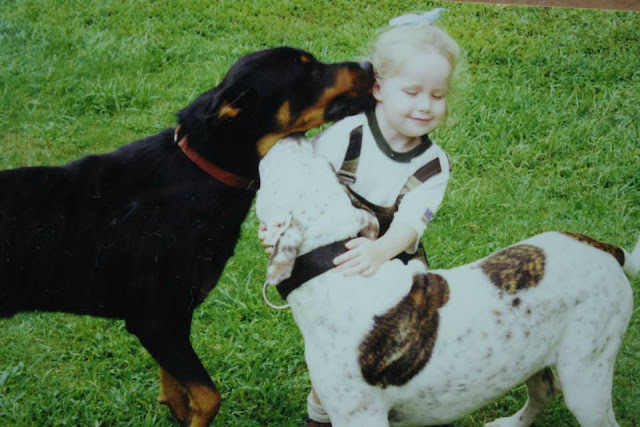 She loved going her grandparents as a toddler to play with their Rottweiler and American Bulldog. When we moved to property we told her she could eventually have a dog of her own. 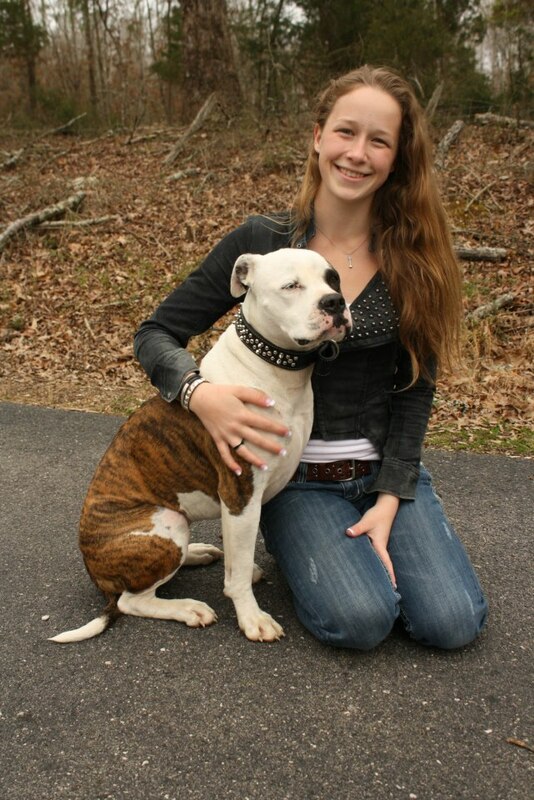 When the timing was right, she was able to adopt an American Bulldog her uncle had bred. Zelda. Princess Zelda, to be exact, was a sweet and very pretty bulldog. 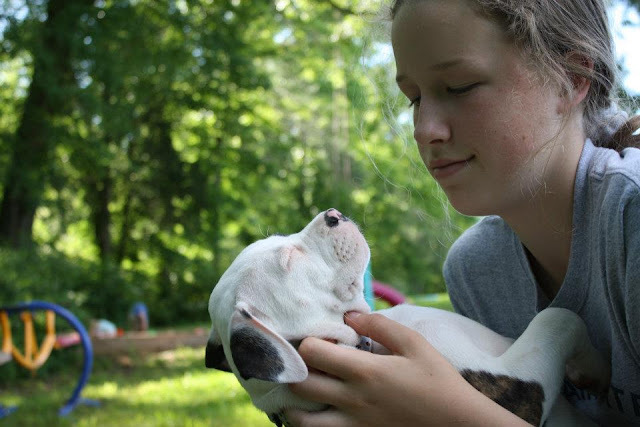 Journee and Zelda had a fabulous bond and Zelda loved going everywhere with her. She loved car rides and trips to the store and the bank. Zelda was also one heck of a great livestock guardian dog. She could tear up a coyote and keep all sorts of predators at bay. She was quick and aggressive when she needed to be. Well, I had two of my ewes escape fencing one afternoon. They managed to crawl under the barbed wire that fences the back paddock on the far end of the property. We noticed the sheep missing after seeing them earlier that morning. The only thing on the other side of that fence is the railroad tracks. Devin walked a good way down the track and found the body of one sheep dead on the tracks. These tracks are no stranger to dead animals, as there were bodies of raccoons and opossums along the same stretch of tracks. In fact, tragically a teen was hit in the same area a couple of years ago. We didn't search any further for the 2nd ewe, assuming she was dragged further down by the train. We also left the carcass on the tracks because about 30 vultures had been eating away at all of the dead animals. We left feeling somewhat discouraged to lose two valuable ewes, but wiser too. The sheep will no longer be fenced in that paddock again. The next day started out like any other. The bulldogs were turned out and we started chores. I took 3 of the girls to get haircuts and then we came home for lunch. Journee arrived shortly after with some school friends. She was looking for Zelda, who was usually waiting for her at the drive. We searched and called, but Zelda was no where to be found. Journee knew in her gut something was very wrong. Devin walked down the tracks, to the same spot, and found Zelda had been hit by a train as well. We assume she was eating sheep carcass and was hit. We were all sad, and I still cry if I stop and think too much about the sweet dog. She was just a few weeks shy of her 7th birthday. Journee has since found a new outlet to get her large dog fix. She has always wanted to learn K-9 search and rescue. She has joined a local group and has started studying for the exams. She has also found a top notch breeder locally of German Shepherds. She placed a deposit on a puppy last week. So now she can follow a new path, and we can all begin to heal. 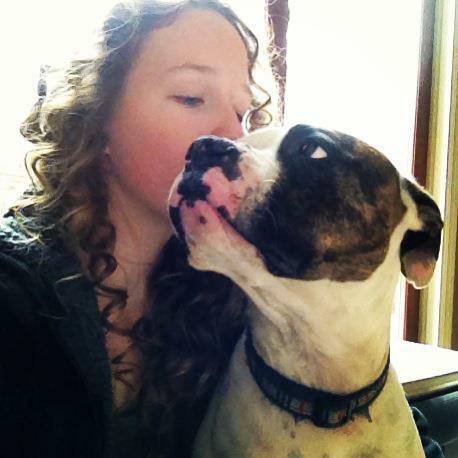 Sam and Journee, I was so sad to hear of Zelda accident and death. Nothing is more difficult for a pet owner than to go though a horrific ordeal like this. Please know I am thinking of you and sending love and prayers your way. Sam, I hope you're feeling better. Hello there cyber-acquaintance. I've been following your blog for about a year since we moved to Ringgold. I have so enjoyed learning from you and your family. I was so sad this morning to read about Zelda. We lost a pet last year to a hit & run and it still hurts to think about her. Awkward segway... we have a 7 month old giant schnauzer / german shepherd mix that was given to us from a friend. He is such a sweet boy but so big and we just don't have the space for him to run and enjoy life. We have been praying about finding him a farm home where our kids could visit with him occasionally and check in. We were wondering if you would perchance consider adopting him? More details and a lengthy conversation need to be had so please contact me at your earliest convenience @ 423-313-3300. Thank you and praying for peace you and all. Just re-read this blog, and saw the comments. What happened with Elizabeth's dog? Did he find a new home? And how is Journee doing with the Search and rescue group? We have friends here in Oregon who are with our S Sheriff's mounted search and rescue program. I'm not sure that's exactly what it's called but it's a Horse and Rider search and rescue program and they need The horses, especially when they're out in the mountains. There are some members who have dogs and horses and that's really interesting too.